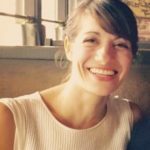 Karli Petrovic is a former associate editor for Greenhouse Grower® magazine, a Meister Media Worldwide publication, and current freelance writer in Portland, OR. What you need to know to identify and manage this disease. What you need to know to identify and control this insect. What you need to know to identify and manage this weed. What you need to know to identify and manage this pathogen. What you need to identify and manage this weed. With little to go on and even less funding, researchers are doing their best to figure out why young, dwarf apple trees have fallen victim to an untimely death. What you need to identify and manage this disease. What you need to know to identify and control this pest insect. Drones have become a part of agronomy and are now making their way into specialty crops. Learn everything you need to know about how they can change strawberry production forever. What you need to know to identify and control this weed. What you need to know to identify and control this disease. In their search for effective spotted wing drosophila control, researchers discovered a common sugar substitute is toxic to fruit flies. What you need to know to identify and control this pest. Southeastern peach growers have battled low chill hours for the last two years, but experts think there is hope on the horizon. Here’s what you need to know. Shed some light on ways to prevent this pervasive plant from darkening your ﬁelds. Follow these tips on identifying and managing this pest with a tarnished reputation. Could This Biological Control Help Save the Wine Industry? After wreaking havoc on grapevines for 125 years, causing severe wine industry losses, Pierce’s Disease may have finally met its match.